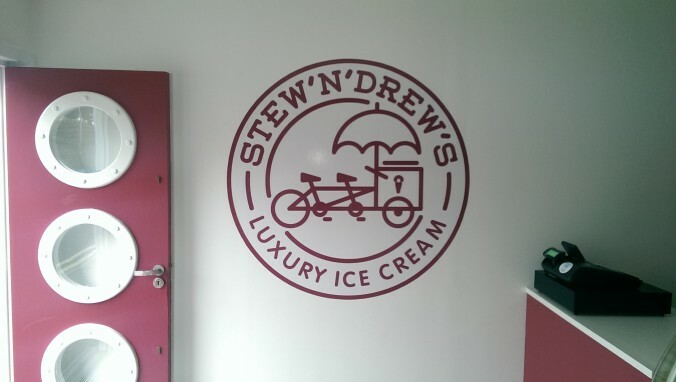 The first Stew ‘n’ Drew’s ice cream shop is in Hopeman and is just yards from Stew ‘n’ Drew’s HQ where our ice cream is made fresh daily. The shop is our idea of what an ice cream shop should be. We wanted it to reflect us and for it to be fun. Customers are presented with an ever-changing feast of 24 flavours from our range of 120-plus. We also offer samples and a choice of topping sauces. The current winter hours are noon until 4pm Saturday and Sunday. Our second ice cream shop is in Buckie. Again, customers can choose from 24 flavours of Stew ‘n’ Drew’s. The winter hours are noon until 5pm Thursday and Friday, 11am until 6pm Saturday and Sunday.